This is my second post on children spaces. I talked a little about my first room design when I was 14, in the last post. I think it’s important that your child helps in the decision of the decorating and organizing of their room. They are the one living there after all. A little more about my room, I had hand-me-down mid century furniture that wasn’t as cool then as it is now. But the yellow and orange was very complementary to the pieces so it turned out well. The curtains were mostly orange with a large stripe of yellow, the same with the bedding. I also had yellow accents in the pillows and other decorative pieces. And since I loved green as much then as I do now, I also had a few lime green accents throughout the room. Tomorrow I’ll talk about the organizing of my room, but let’s talk about a tween boys room now. I’m not going to show a lot of Zach’s room because it’s not even close to being finished. I have done a lot of work in his closet though. 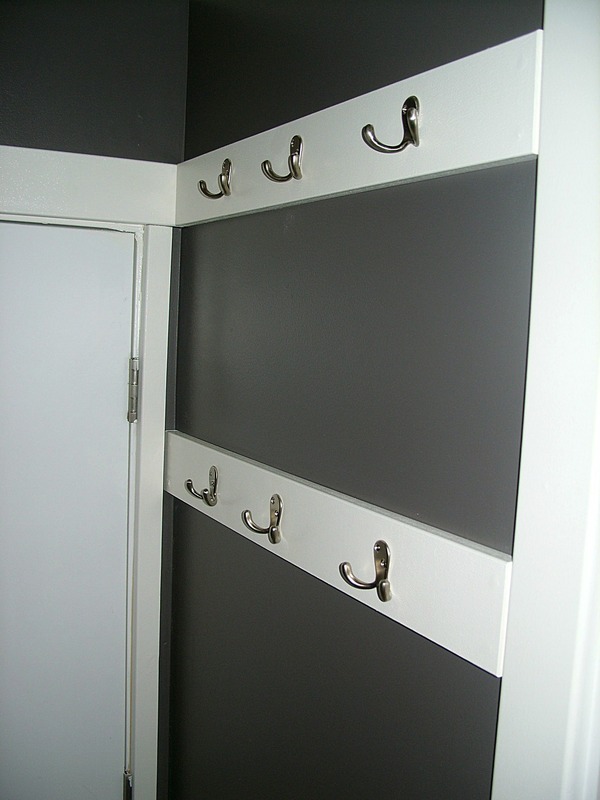 I painted it a dark gray (which he loves) and then added shelving and hooks in white for a nice contrast. Boys this age (or every age) still have a hard time hanging things up so I provided plenty of hooks for his jackets, pj’s and other things to keep them off the ground. That door inside his closet leads to an attic storage area. Storage is always a need in any bedroom to keep things handy but out of sight. Since Zach has the smallest bedroom in the house it’s really important in his room. These totes fit perfectly under his bed and are easy for him to get to anything he needs. The chalkboard tags are perfect for labeling the totes and easy to change if the contents change. As you can tell the colors in his room are very neutral. That’s what he wanted (he’s the one that picked everything gray when we went school clothes shopping, even the shoes). 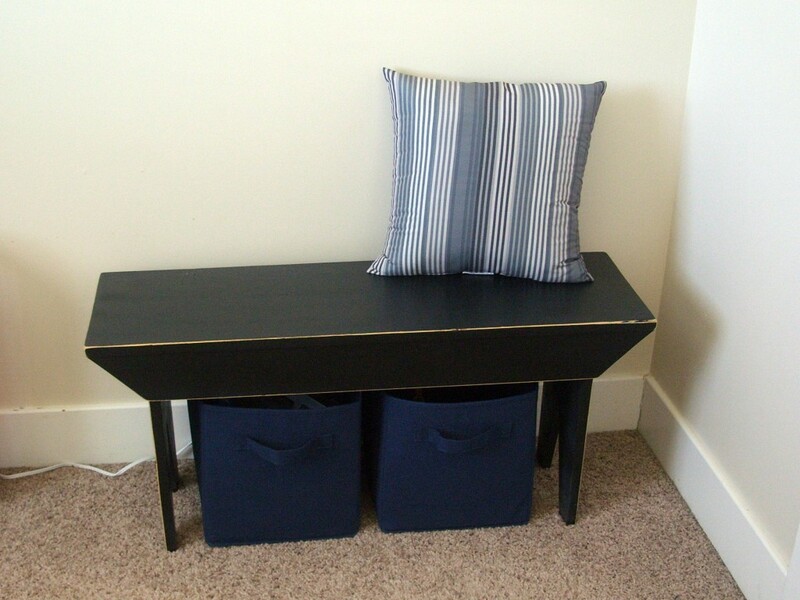 The bench was brought in from another room for extra seating, playing games on, and it has more storage underneath. 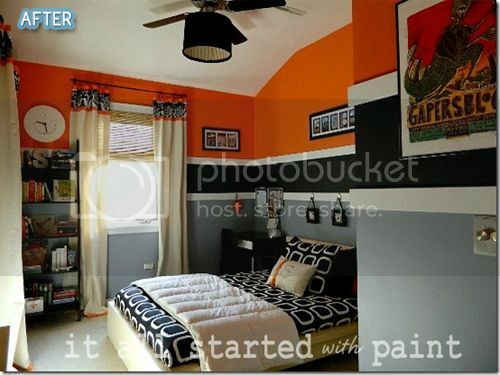 Here are some more tween boy room ideas. Don’t be afraid to let your tween help in the decision making of what their room will look like. They’ll enjoy it so much more. Stella & Dot Trunk Show – Today is the last day of the Trunk Show. This jewelry is gorgeous. I really suggest you check it out plus there are some great sales going on through the month of October. Thanks for these. I am working on the kids rooms now. The boys share, so I just switched Sam into the smaller room and the boys in the bigger. Neither have much space. After seeing this I took the bins I already had and put under their bed and it has already helped. Did you buy the small picnic table recently? I think that would work in their room too. Drew wants a desk and that could work for both building and homework. 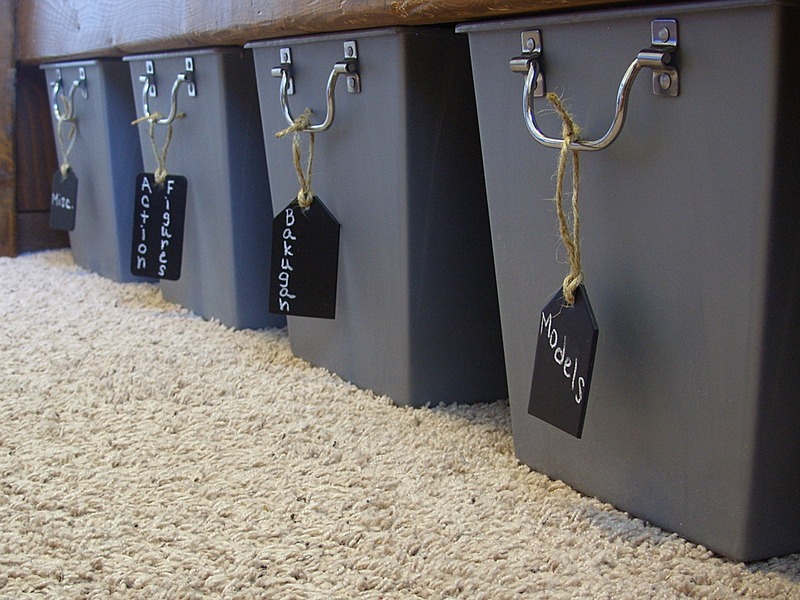 I would love to know where you found the under-the-bed storage totes…they would be great for my son’s room! I found them at Big Lots. I like them because they look like they’re metal but they’re just plastic and very inexpensive.